This bathroom had an uneven subfloor with dated tile and fixtures. 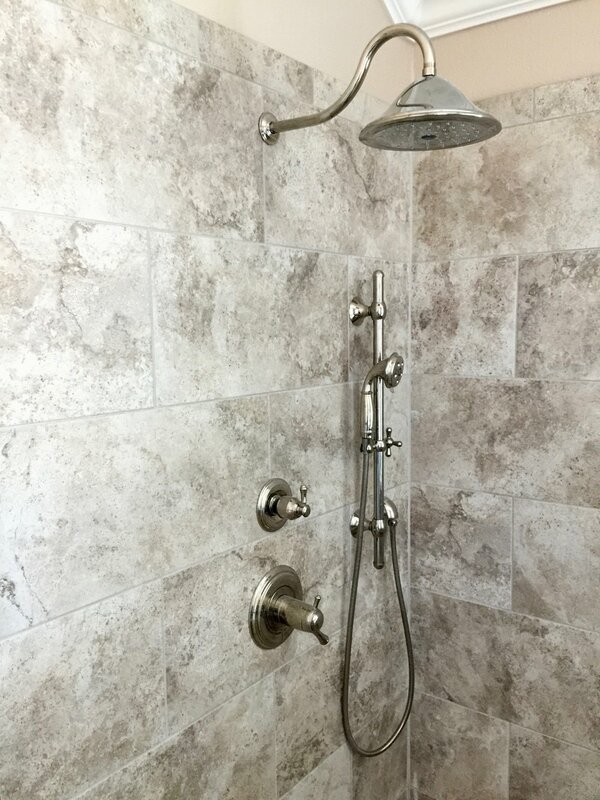 The customers chose a neutral toned tile through out with stand alone tub for timeless appeal! Read to the bottom to find out about their experience with Winston Floors + Countertops from construction to design! Brick wall surround in matching tile. 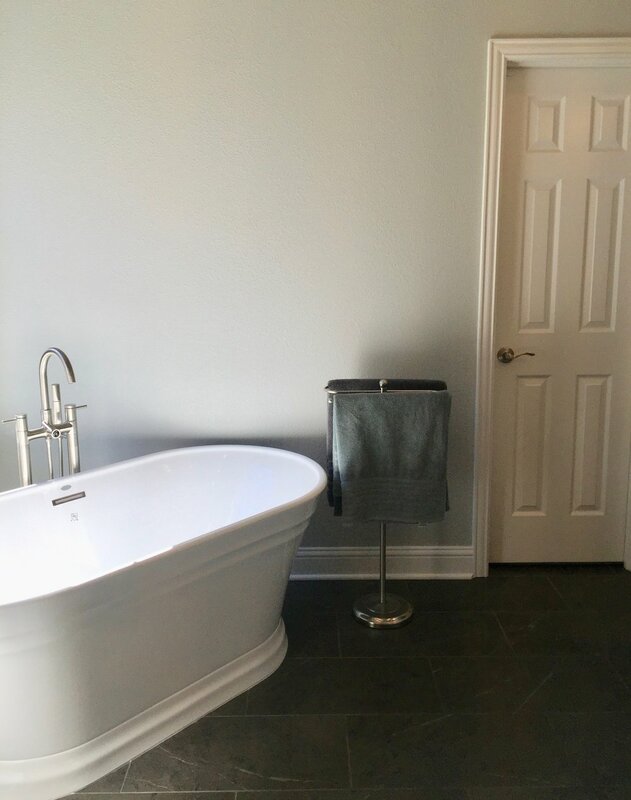 12x24 tile floors in matching tile with classic white stand alone tub. Q: How was it working with the installers? A: They were super easy to work with and very professional. They are trustworthy so I didn’t always have to be home. They started early and left late, I never even saw them takes breaks! It couldn’t have been better or easier. Q: How was the process picking out materials + creating the design? A: We came to the showroom and looked, it was an easy process for us! 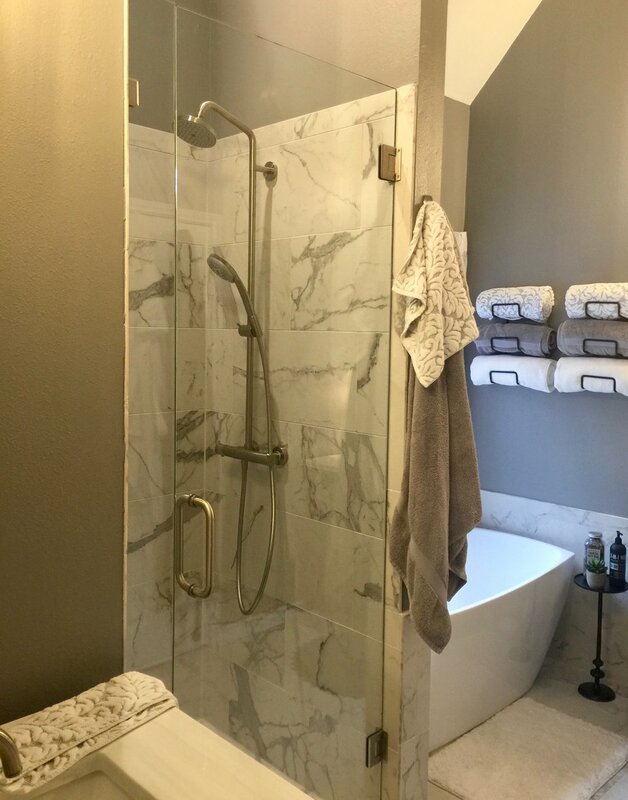 A: My favorite part of the project is a toss up between the tub and shower. I love the custom bench! This bathroom in Plano, Texas was complete with wallpaper and old fixtures. We kept the same footprint but installed a stand alone tub and clean, grey + white porcelain tile throughout. Take a look at what Paige had to say about her experience below. A: I loved them. They were professional and friendly and Josh (installer) thought ahead on a lot of things because he’s so knowledgable. Very client oriented, always thinking about what he could do to make this a good installation for the client. Q: How was the process of picking out your design? A: Very easy. I kind of knew the color scheme I wanted but you were helpful in narrowing it down and pulling it all together. 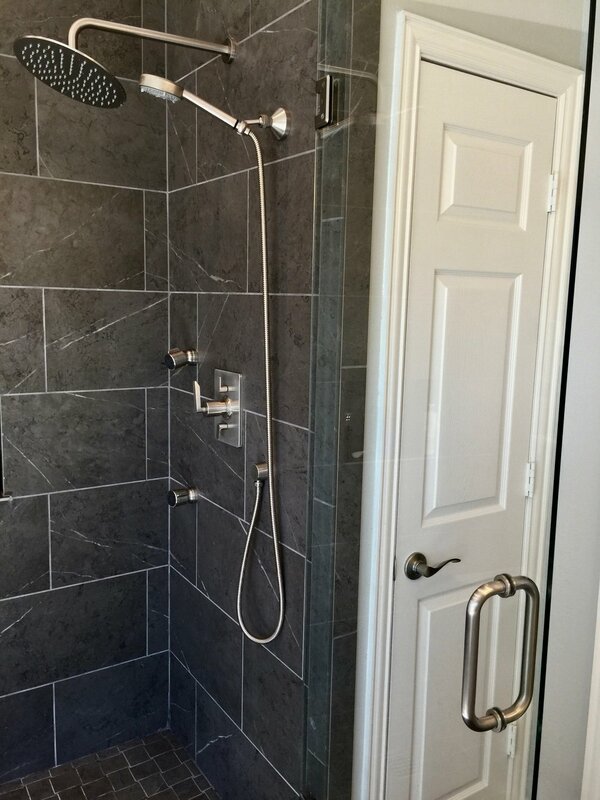 Q: What is your favorite part of this bathroom project? A: The shower is my favorite!